This is a cross-post, originally published in Medium, by Lily Bui. She is ​a researcher and M.S. candidate for MIT’s Comparative Media Studies program. Most recently, she has been a STEM Story Project Associate at the Public Radio Exchange (PRX); the Executive Editor at SciStarter, PLOS CitizenSci, and Discover Magazine’s Citizen Science Salon. 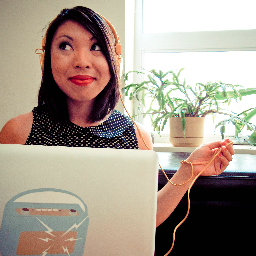 In her spare time, she ​tinkers with electronics and t​hinks of cheesy science puns. The answers to these questions depend largely on how you look at the role of media itself, which requires peeling back an additional layer. Media theorist James W. Carey presents two different models of communication that might be useful in helping us think through this. One is a transmission model, in which one party imparts information to another, like in traditional broadcast TV and radio. This is also a typically unidirectional relationship between media and people. National and local interests. Citizen science projects can bring light to very local issues (e.g. a dwindling frog population in southern Illinois) as well as national issues (e.g. climate change) while providing a means to engage with these problems via a citizen science project. 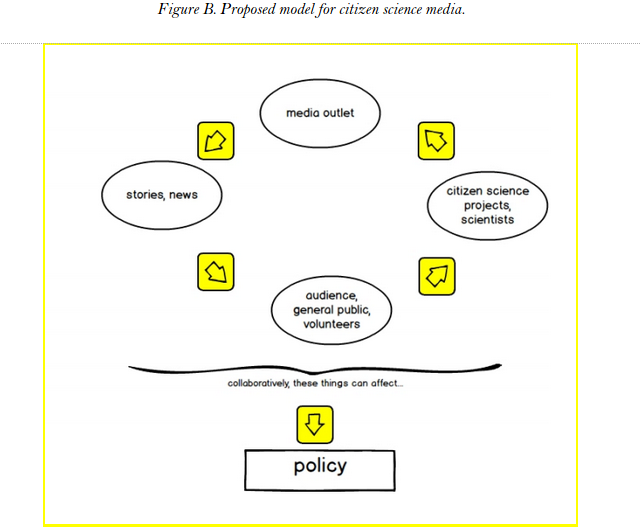 Public media often covers national and local issues, which can potentially be aligned with relevant citizen science projects that advance a related field of research. Volunteerism. The heart of citizen science is the spirit of volunteerism, and many public media stations operate within the same credo. 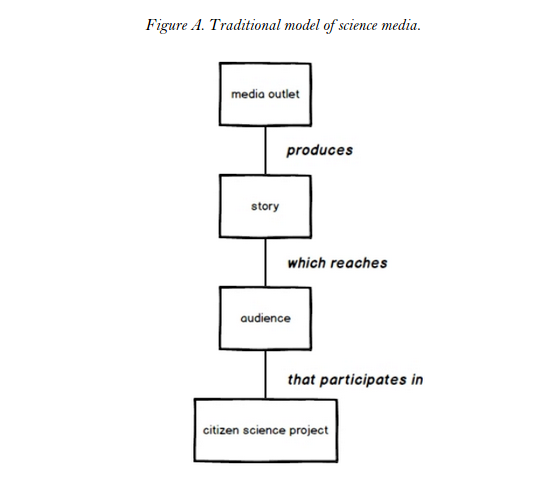 A citizen science project cannot be successful without volunteers to help collect data, and many public media stations rely on their volunteer networks to run events, promote programming, and in some cases even create content.